It is true that Sony did not introduce any new console at E3 this year but they have unveiled something else that seriously stole the spotlight and this is nothing but the most anticipated PlayStation VR. Set to release during this fall, this VR is probably the first consumer VR headset which will not require any PC. The exciting news is that Sony is arranging the demos of this hardware piece in the US during this weekend which is very thrilling news to all the game lovers. Sony stated few days back that this PlayStation VR set will arrive on October and will be available in two different prices. One will be priced at $399 and other set will be available at $499 that will include a PlayStation camera and two move controllers which you might want to have for better enjoying the PS VR. 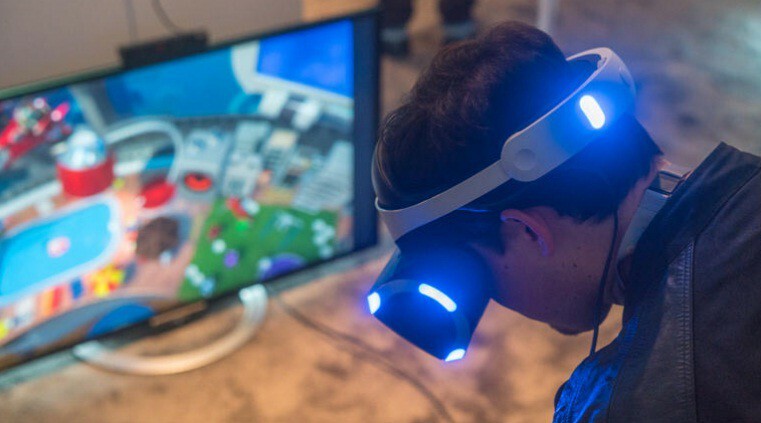 While the launch date is far away there are many game lovers who might want to taste the PlayStation VR before they can proceed to pre-order the device. And this became possible with Sony announced about the PS VR demo which will start in the US and Canada during this weekend. According to Sony, they will offer the PS VR demos on 16th and 17th June and it will be available in 30 BestBuy and GameStop locations which will be expanded then to 300 locations in the US and Canada. Users can enjoy some of the games like PlayStation VR Worlds, Headmaster, EVE: Valkyrie, Battlezone, SUPERHYPERCUBE during the demo session and there will also be an opportunity to play the game while some more games will be added in the list of demos that will probably go on till the mid of July. Full details on locations where Sony is conducting the PS VR demos will be available in Sony’s website while you can also get to know about the nearest locations by going to the PlayStation VR trial site and entering your Zip code. However, in case there are no such retail stores nearby your location another way to enjoy the demo is through ‘Road to Greatness’ roadshow of Sony’s, so just check out if you are near any of the stops of that. So, Sony has really done a good job by arranging this PS VR demos that will help users to take the perfect buying decision.